SAN NARCISO, Calif. (Bennington Vale Evening Transcript) -- Conservative Tea Party lawmakers, attempting a definitive victory in their crusade to stave off the damage from the decades-old War on Christmas, are appealing to federal agencies and embassies abroad to restrict travel visas for pilgrims hoping to visit the resting place of Saint Nicholas. Eager to celebrate the traditional festival of Saint Nicholas Day -- a largely European holiday that falls on December 6 -- groups of Santa Claus enthusiasts regularly travel to the saint's birthplace in Turkey, seeking a deeply personal connection with the holiday. However, workers at the historic preservation site told authorities that several American visitors have collapsed over the last two years and gone into immediate shock at the conclusion of the tour. Doctors claim some pilgrims have remained under medical supervision for post traumatic stress disorder (PTSD) from journeys dating back to 2009. Saint Nicholas, more formally known as Nikolaos of Myra, was a fourth century saint and bishop in Lycia, which is now part of modern day Turkey. His miracles of intercession and efforts to provide gifts for the downtrodden earned Nicholas a reputation for altruism, a historic legacy that persists today in the incarnation of Santa Claus. Ransom Creed, chairman of the San Narciso Tea Party Coalition, visited the Turkish shrine in 2011 with his wife and children. "It's bad enough that the socialists running this country have forced business owners to say 'Happy Holidays' instead of 'Merry Christmas' to avoid offending the Christ killers, Islamic terrorists, African heathens and probably the gays who've all manufactured conflicting celebrations to destroy the spirit of love and goodwill toward men that is Christmas," Creed said. 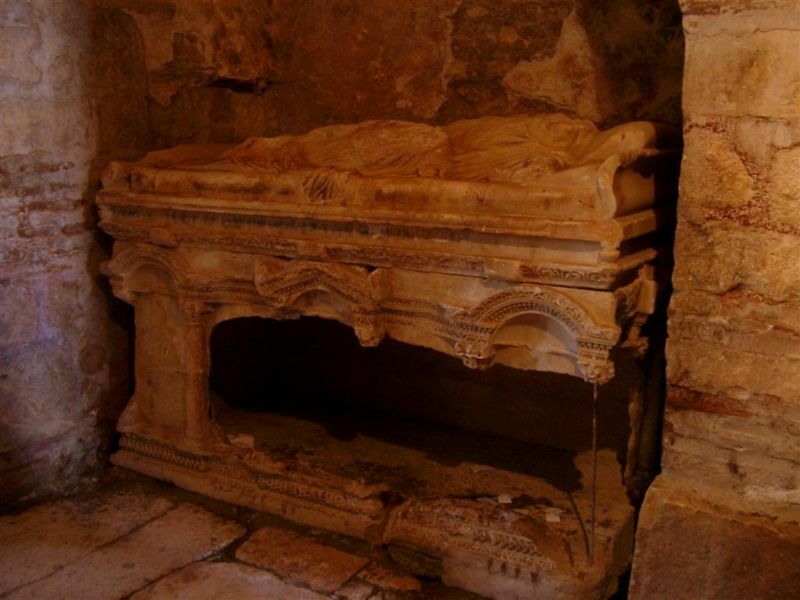 "But now the Turkish government is showing people a crypt and telling them it houses Santa's moldy remains. It's abominable." According to Creed, visiting the birthplace of the Christmas patriarch was meant to be the highlight of his family's lifetime. 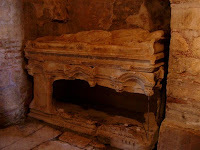 But when curators led Creed down a series of dank catacombs and into the room bearing Nicholas' tomb, his traumatized daughter fell to the ground in the throes of a nervous breakdown. "They showed us this coffin and said it was the resting place of St. Nick," Creed's daughter, 14-year-old Prudence, explained. "He's dead. That's what they meant. Santa Claus is dead. And he's been dead for thousands of years. When I saw that, I thought everybody in the world had lied to me." Ransom Creed said Prudence returned home dejected, disillusioned and with a dramatic change in behavior. Doctors eventually diagnosed her condition as PTSD. A family physician overseeing Prudence's care stated: "This girl had suffered trauma we generally see in combat veterans. She no longer trusted those around her, and she rejected her family completely. Her outbursts turned to physical violence -- beating up her brother and other kids at school, breaking valuables at home, cutting herself, defecating in her stocking and, for reasons we can't explain, placing Lincoln Logs and dead goldfish in her father's sock drawer. We had no choice but to move her to a mental health care facility where she could undergo the necessary therapy. She was released in March. It was a tough slog, but she seemed to respond to the treatments. Still, it's difficult to say whether her trust issues will ever truly abate. It's a tragedy, to be sure." Creed, the consummate Christmas warrior, refuses to accept that the body of the venerated and legendary figure resides in the Turkish tomb. Given Turkey's predominantly Islamic culture, Creed believes the faux mausoleum is part of a plot to sabotage Christmas, coordinated jointly by the Turkish government and President Barack Obama, whom Creed described as a Kenyan-born Muslim with deeply anti-American sympathies. "Any rational and well-informed Christian knows this is all a bunch of malarkey," Creed proclaimed. "Santa Claus lives in the North Pole, not the Middle East. That's like saying Jesus was from the Middle East. It's absurd. It also contradicts well-established Biblical representations of the nativity such as decorated trees, flying reindeer, elves, mistletoe and yule logs." After Creed's impassioned appeal, congressional Tea Party lawmakers issued a proposal urging the federal government to restrict travel for all U.S. citizens to Turkey during the month of December. They have also requested consulates and embassies abroad to deny entry of U.S. citizens who are already overseas to the country. "We've lost a lot of battles, but we're finally going to win this war," Creed declared. "For the children."